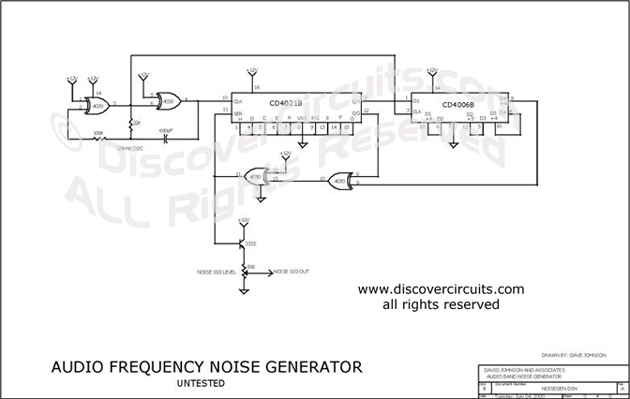 Circuit: AUDIO FREQUENCY DIGITAL NOISE GENERATOR__ Circuits designed by David A. Johnson, P.E. When you need to test an audio circuit with broadband noise, this circuit works great. It uses just three inexpensive C-MOS ICs that generate a series of output pulses whose widths vary randomly. I included a level control pot.